Sophyto is a skincare brand I've had my eye on for quite a while so when they were launched on My Pure, I quickly got the product that stood out to me the most; the Bioactive Rebalancing Essence*. This toner/mist claims to "restore skin to its optimum pH level, improving texture and hydration while also toning, purifying and balancing." It sounded perfect for my skin type. The key ingredients are chlorella, artichoke root and morinda which I think is a very unusual combination and not ingredients I've ever really used before. The scent is quite unusual too, I can't quite put my finger on it. It isn't horrible, it just might take a little bit of getting used to. The essence is 96% organic, gluten free and the brand is cruelty free. I like to use this in two different ways. Either after cleansing, I spray some onto a cotton pad and wipe across my face making sure all make-up and dirt is removed, or I just spritz some on my face after cleansing as a refreshing toner. I've only been using this for a few weeks so I can't comment on any huge skin differences but it's been nice to include it into my skincare routine and it does help slightly to reduce redness on any spots. I have been struggling with really bad hormonal spots in the last few months and nothing seems to be helping that much to get rid of them but I'll keep trying this mist, and update the post in a few more weeks. You can get Sophyto at My Pure, prices start from just £19.00. 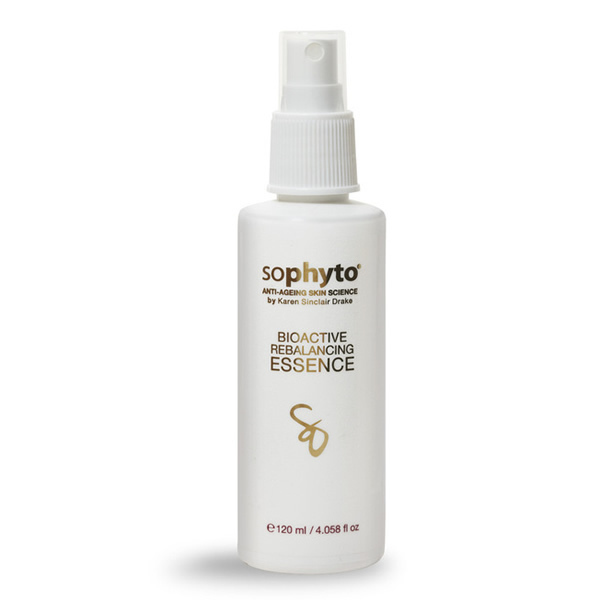 Have you tried anything from Sophyto? Ingredients: Aqua (water), aloe barbadensis (aloe vera) leaf juice powder, potassium sorbate, levulinic acid, rosmarinus officinalis (rosemary) leaf extract, glycerin, sodium levulinate, chlorella vulgaris (green micro-algae) extract, cynara scolymus (artichoke) root extract, mentha piperita (peppermint) leaf extract, morinda citrifolia (noni) fruit juice, rubus idaeus (raspberry) leaf extract, sambucus nigra (elderberry) fruit extract, schizandra chinensis (schisandra) fruit extract, taraxacum officinalis (dandelion) root extract, urtica dioica (nettle) leaf extract, citric acid. I've never tried this brand. I'd love to see how it works for you long term.